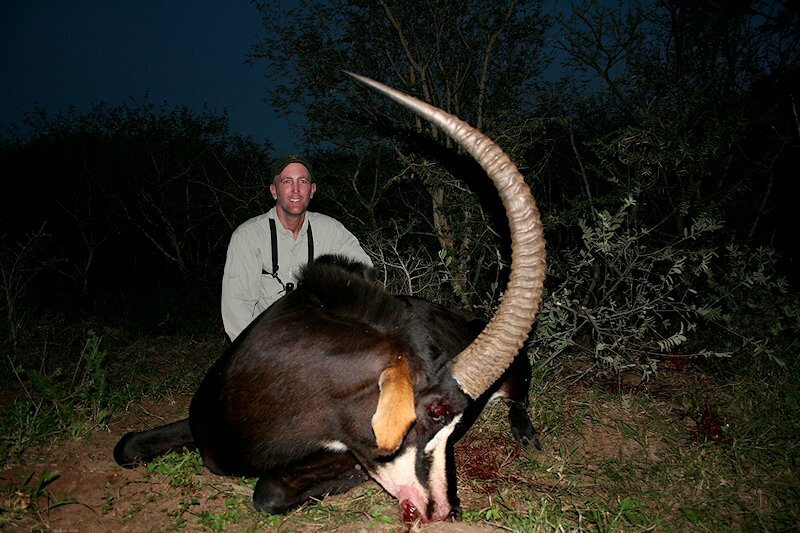 The majestic sable antelope is one of the most popular trophies that can be taken on a hunting safari in South Africa. 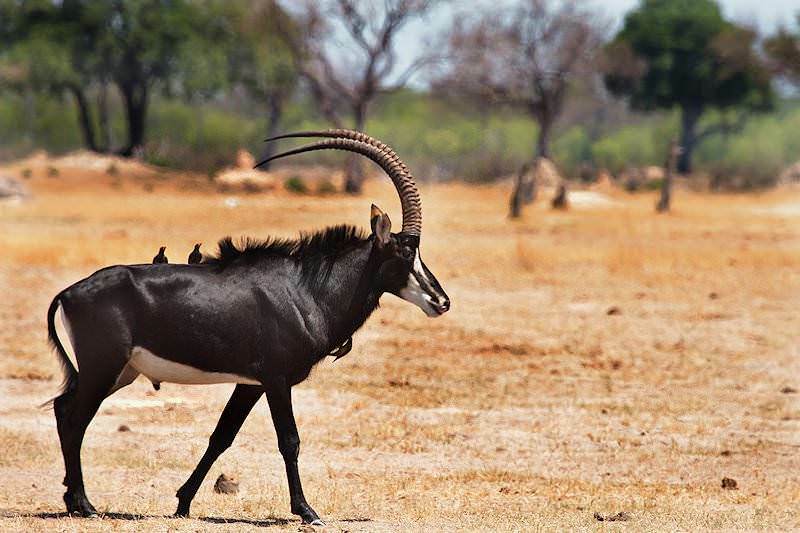 The sable antelope is another of the Hippotragus (horse) tribe antelope. 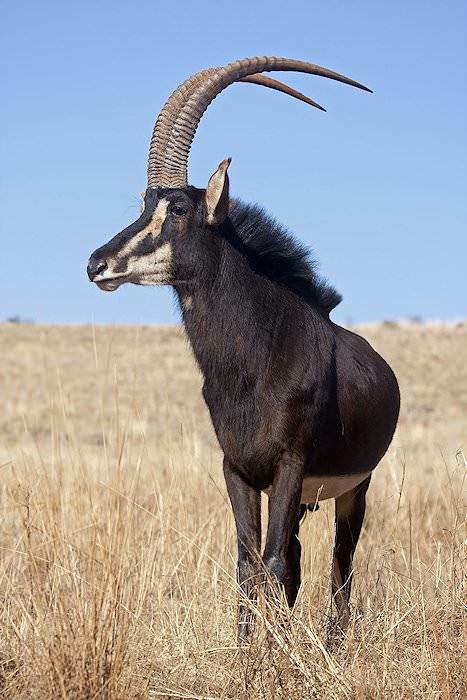 As is the case of the roan, his Afrikaans name (Swartwitpens) meaning black white belly, is rather undignified when applied to this most regal and strikingly beautiful animal. 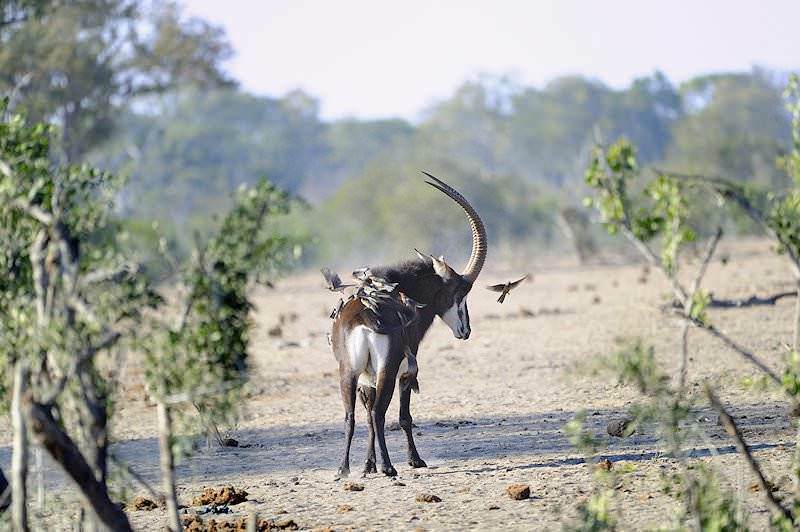 The sable really stands out in his home on the plains, especially during winter when the veld takes on its beige mantle. The name 'sable' is indicative of this beast's color. 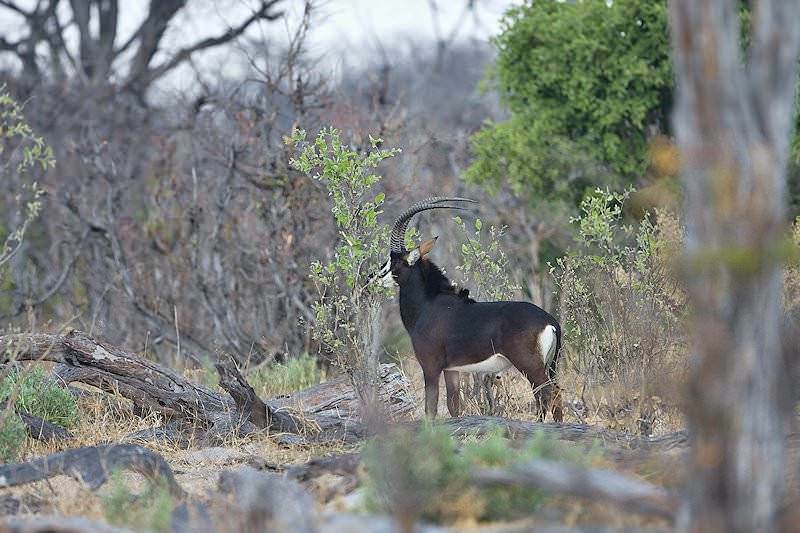 Only the bulls display the shiny black coat, while the female of the species and young display a dark reddish brown. Belly and facial markings are of pure white in vivid contrast to the rest of his body. 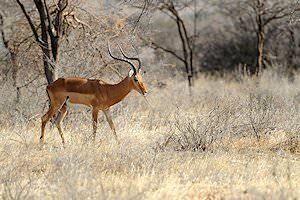 A bit smaller and more slender than his brother the roan, he is nonetheless one of the most majestic of the antelope species. Both sexes carry horns. 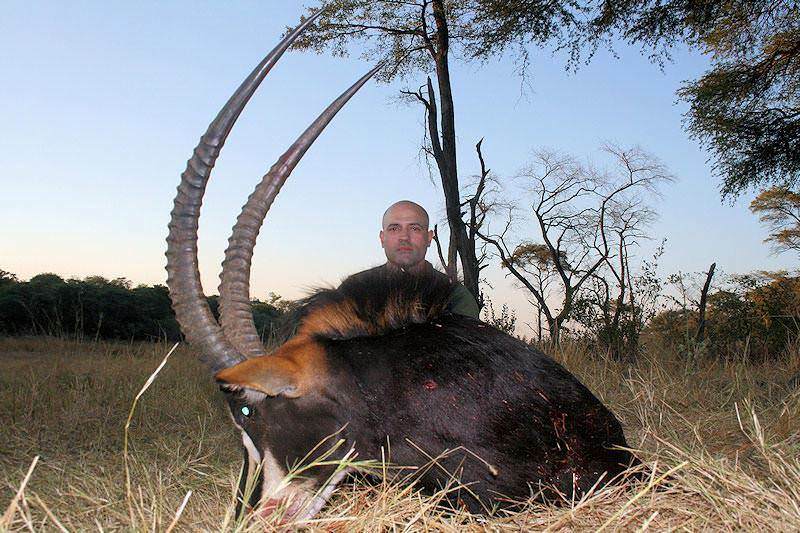 The horns of the sable bull are exceptional and the longest of any African antelope, excepting the kudu. 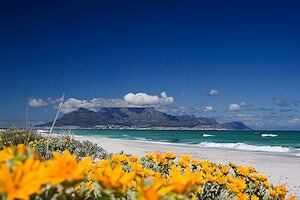 Dependant on water, they prefer open and sparse woodland area in close proximity to the grasslands. Normally living in herds of up to 30, larger herds are not uncommon. 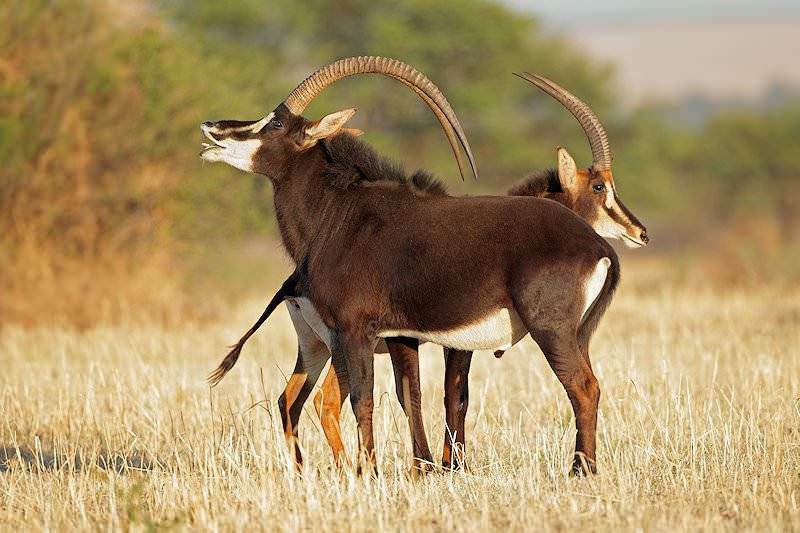 Like the roan, sable bulls can be very territorial and the challenging interloper is in for a serious encounter if he does not retreat. 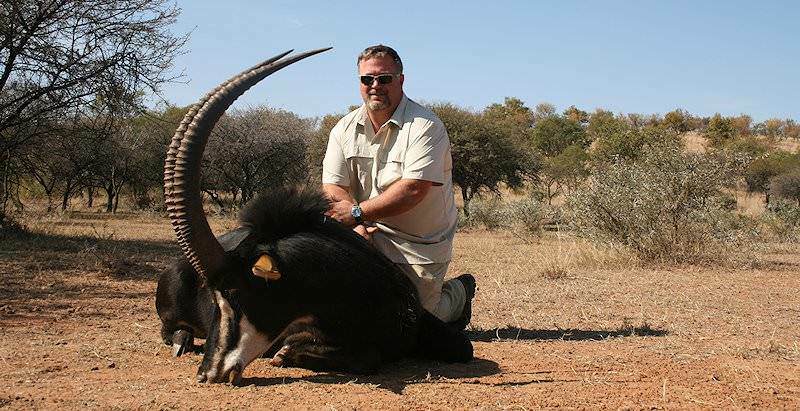 Combat is usually done kneeling with rapid sweeps of their sharp and powerful horns, which can sometimes result in the death of one of the combatants. 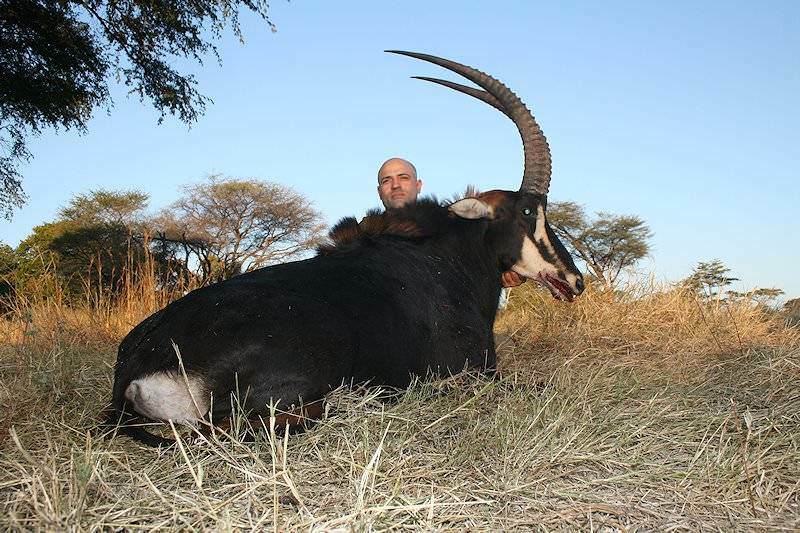 Hunters, too, must give this guy a wide berth, as the sable can be very aggressive and will not hesitate to charge if wounded, cornered, or simply feels threatened. 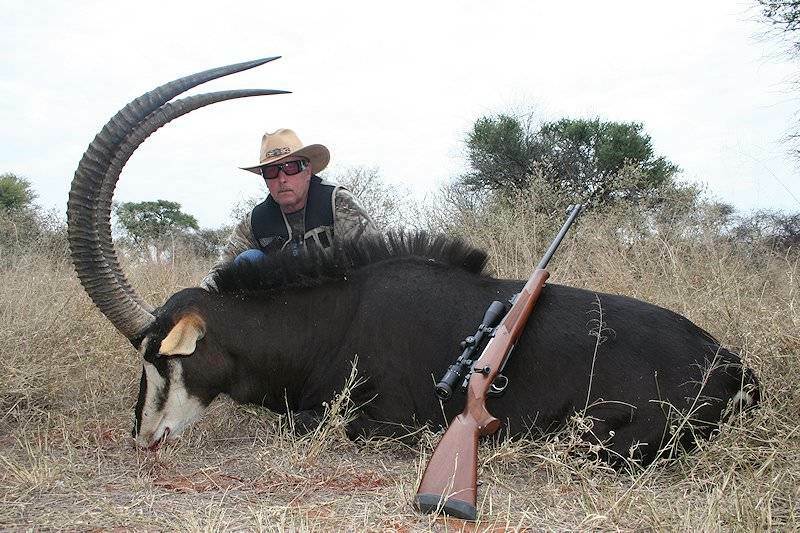 Hunting sable is best during the early morning hours and late afternoon when he grazes in or near the open grasslands. 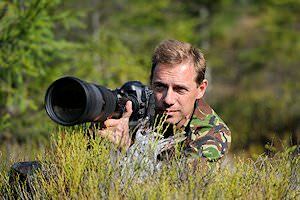 A daily drinker, ambush the approaches to water. 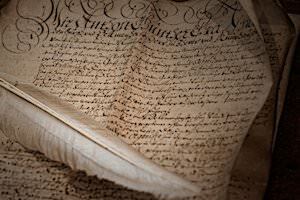 When hunting sable in the herd, look for the bull to be somewhere on the periphery. 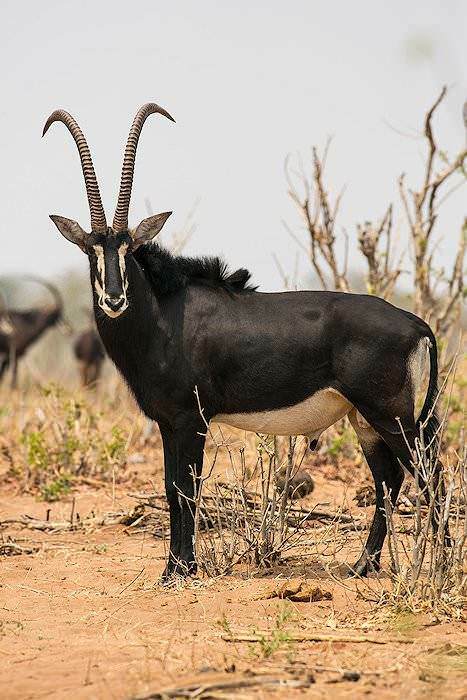 The sable bull is a proud animal and appears to remain aloof; this rather cocky attitude makes him not all that difficult to approach. Use this trait against him, but remember his aggressive nature and stay at the ready in case of a charge. 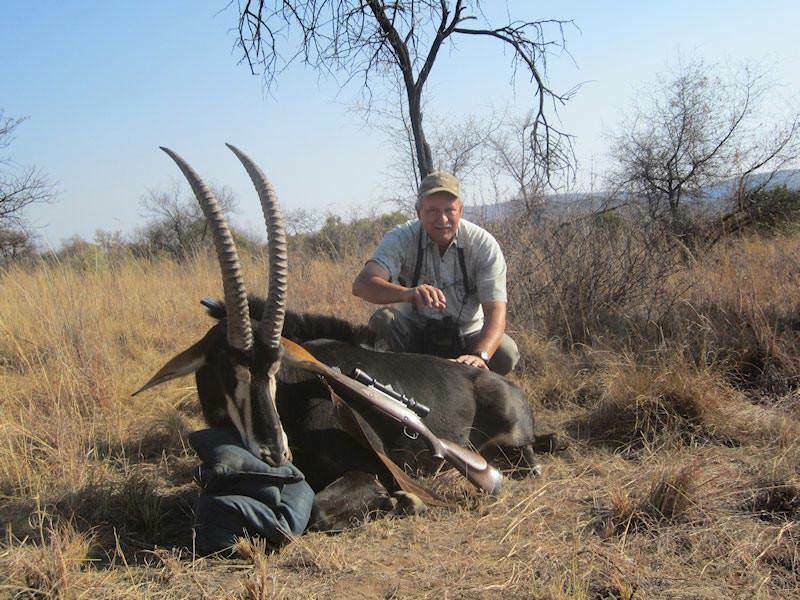 Like in the case of the roan, do not find yourself under-gunned when hunting sable. The .270 Win should be considered the absolute minimum caliber. Look to the 30 calibers with heavy for caliber good quality expanding bullets. 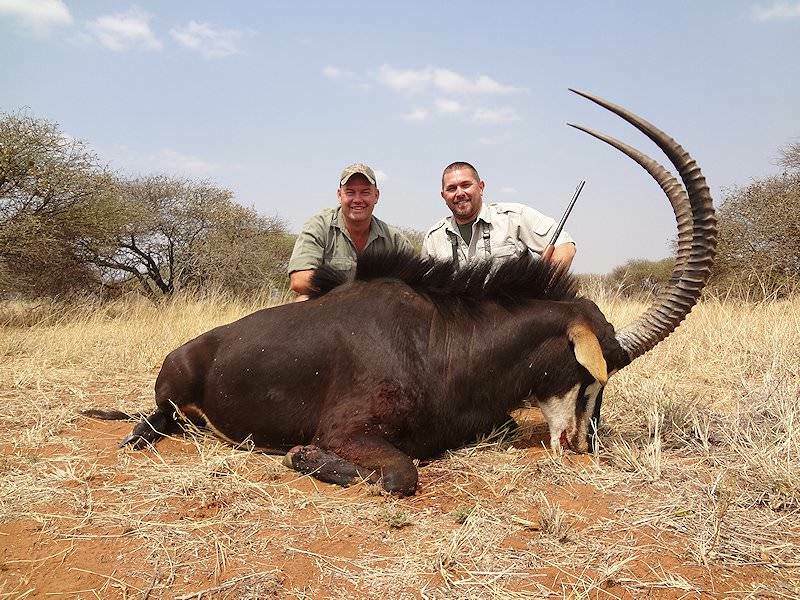 Bigger, in this case, is better, and the .338 Magnum, the 9.3mm and the .375 H&H are excellent choices especially if you have to stop a charge. 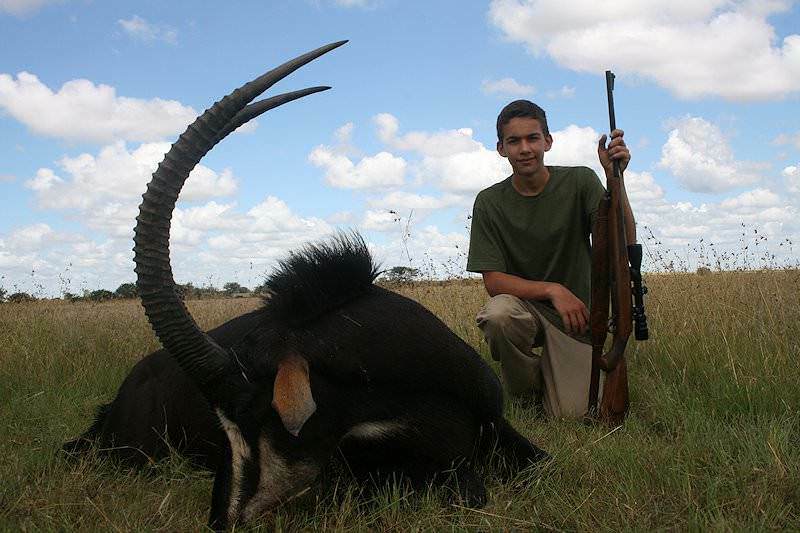 The side-on presentation calls for the high heart/lung shot directed straight up the foreleg about one third into the body. The neck/spinal shot should be placed dead center on the neck where the neck joins the body. Your sable will drop to this shot if it hits the mark. If you are up for the frontal shot, place it squarely in the center of the chest right at shoulder level. 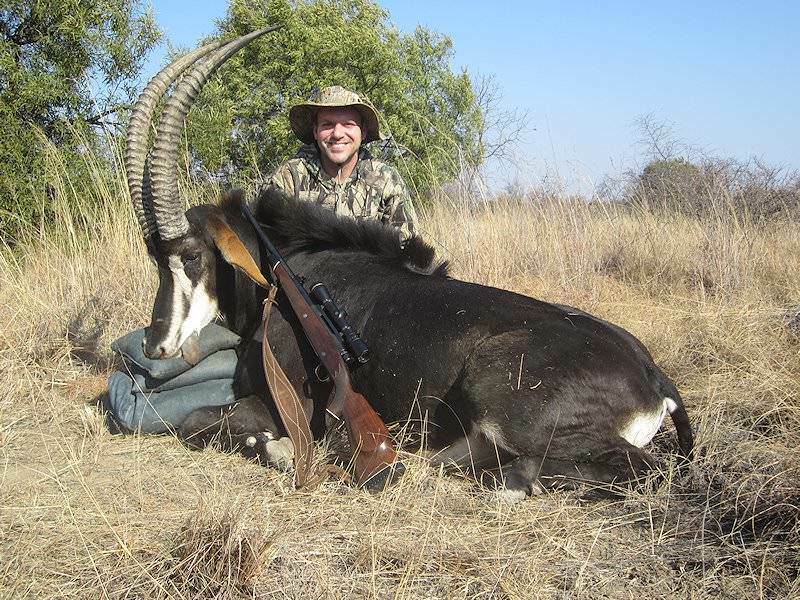 Because of the size and aggressive nature of this beautiful antelope, hunting sable can be an interesting endeavor. Be sure to use enough gun, shoot straight and this coveted trophy will be yours! 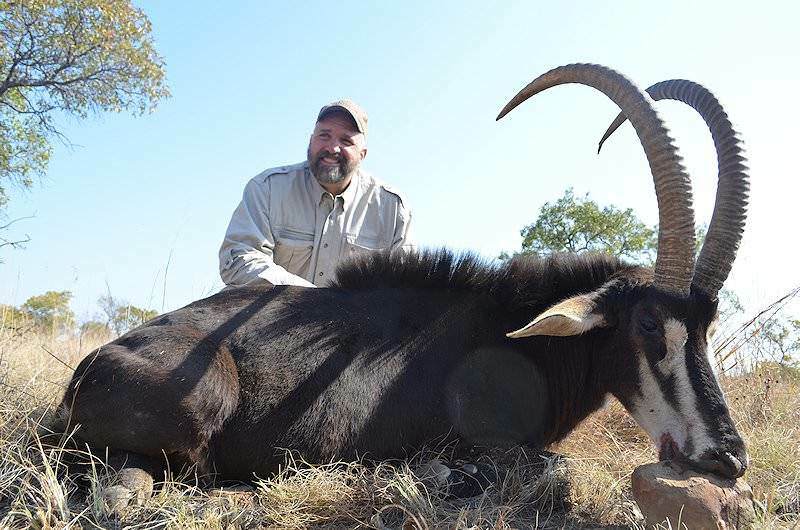 Five days dedicated to pursuing one of the most handsome antelope species in the world - the striking sable antelope. 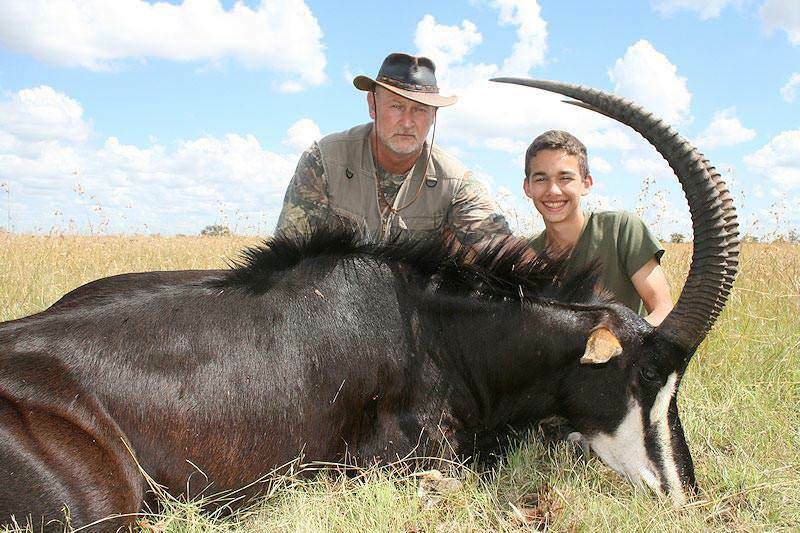 Horn size is 38"-40". 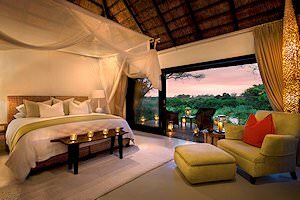 You'll be hunting in the bushveld region, which means that myriad additional species can be taken opportunistically. 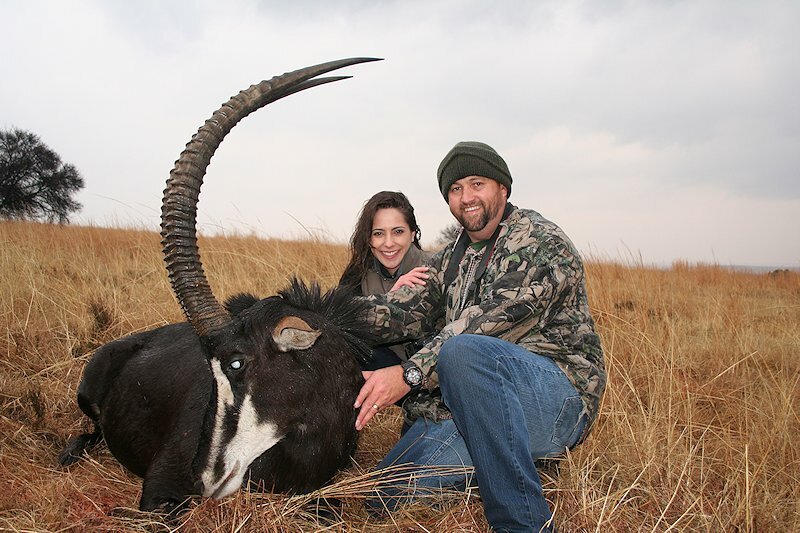 Two of the most striking big game trophies available in Africa. 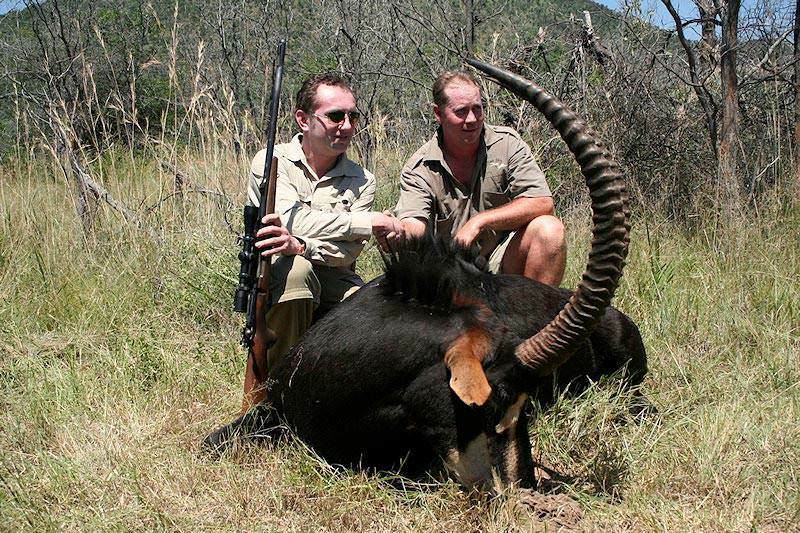 Hunt the Cape buffalo - a member of the Big Five - and the dazzling sable antelope in South Africa's	bushveld	region. 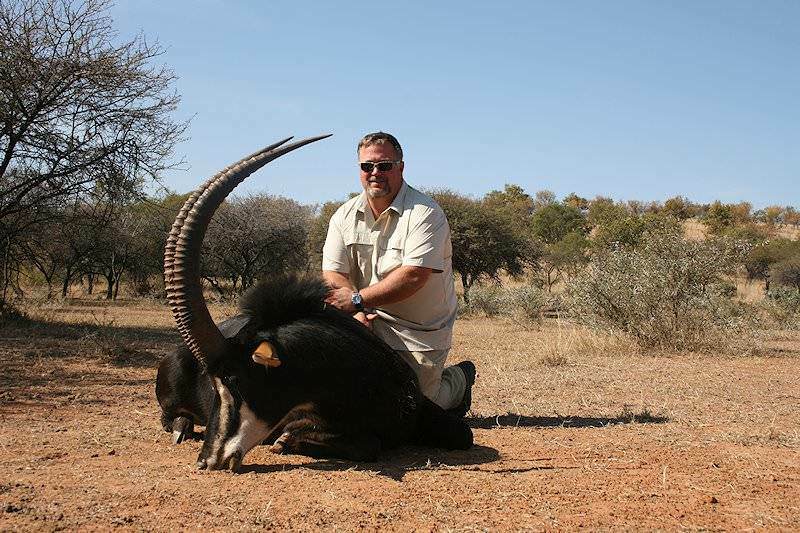 A hard-bossed	buffalo	with 37"-39" and a sable of 38"-40" are included.